Scientists at the Francis Crick Institute (London, England) and UCL (London, England) have developed a new AI-driven platform that can analyze how pathogens infect human (‘host’) cells with the precision of a trained biologist. The platform named HRMAn (‘Herman’), which stands for Host Response to Microbe Analysis, is open-source, easy-to-use and can be tailored for different pathogens including Salmonella enterica. HRMAn uses deep neural networks to analyze complex patterns in images of pathogen and human cell interactions, pulling out the same detailed characteristics that scientists do by-hand. Image: The Host Response to Microbe Analysis platform can be tailored for different pathogens including Salmonella enterica (Photo courtesy of Wikipedia). The researchers used HRMAn to analyze the body’s response to Toxoplasma gondii, a parasite that replicates in cats and is thought to be carried by more than a third of the world’s population. Researchers in the Crick’s High Throughput Screening facility collected over 30,000 microscope images of five different types of Toxoplasma-infected human cells and loaded them into HRMAn for analysis. HRMAn detected and analyzed over 175,000 pathogen-containing cellular compartments, providing detailed information about the number of parasites per cell, the location of the parasites within the cells, and how many cell proteins interacted with the parasites, among other variables. 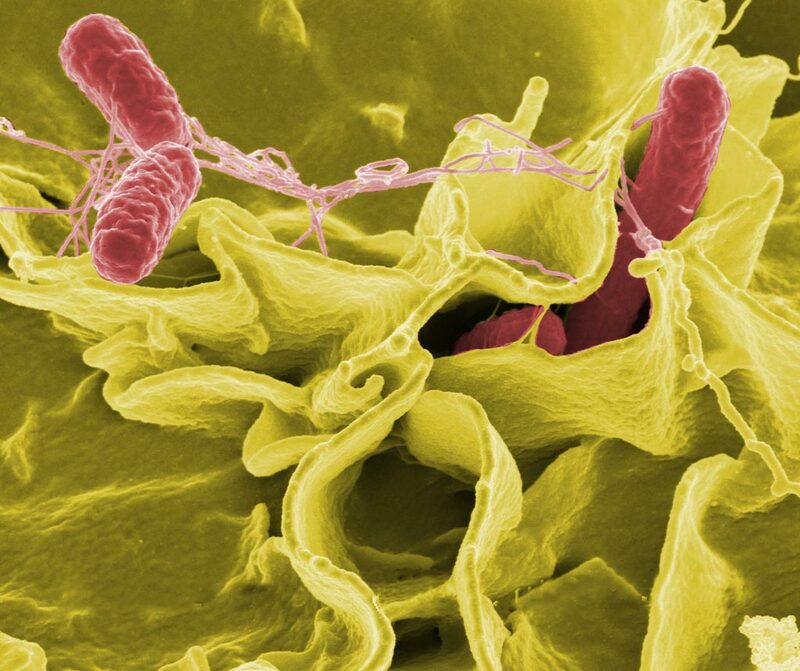 The team also used HRMAn to analyze Salmonella enterica – a bacterial pathogen 16 times smaller than Toxoplasma, demonstrating its versatility for studying different pathogens.